A new and exciting fitness craze to come to South Africa, and to the world is Electro Muscular Stimulation (EMS). I was lucky enough to give EMS training a try at Body20 and I will take your through the whole thing here. After, there is a short interview with Bertus Albertse who was a competitive bodybuilder for many years and is now the managing director of Body20. Also included is an interview about certain aspects of the EMS training and what it’s good for. As I got to the studio I was greeted by all the very friendly staff, including Bertus and Matt Curan who told me more about the studio and EMS training. The first thing was to then get changed into the body20 compression gear and get equipped with the jackets and electrodes. The electrodes are connected to various places on your body where they will stimulate specific muscles. 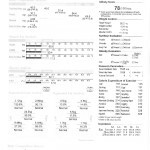 Once ready and changed all my stats were collected through an intelligent scale. The scale is quite something in that it measures all your details such as weight, body fat percentages, water percentages, muscle percentages etc. So you are able to see exactly how much lean muscle you have, how much water you are made up of (both inside the muscles and outside the muscles), and it even can show the various stats of your muscles. For example it can show muscle imbalances such as showing that your right bicep is slightly bigger or has less bodyfat than the other! All this information about your body can then be used over the weeks to specifically target certain problem areas or imbalances. Straight after that we got into the workout. Matt trained me and sure made me feel it! The workout covered a full body workout. We did simple exercises such as bicep curls, tricep extensions, chest presses and squats. How it works is, when ever you contract the muscle like when you do a bicep curl, the electrodes send intense pulses to the area to stimulate and target that specific muscle. For the curls you hold a small rubber ball in your hand and perform the curl. Holding the contractions with just the ball in hand is quite a challenge with the electric stimuli. Matt has control of the degree to which the EMS functions at and can increase or decrease it depending on your level. Though the workout was only +-15 minutes (the actual workout is 20 minutes long) it is really intense and the two areas that I felt on the day and for a few days later were my bicep peaks and quads from the squats. After the workout I got changed and was then taken through the results of the readings from the scale we did at the start. It is amazing how detailed it is and how much you can learn about your body. Each session you would get measured in order for the trainer to track your progress and target specific muscles. 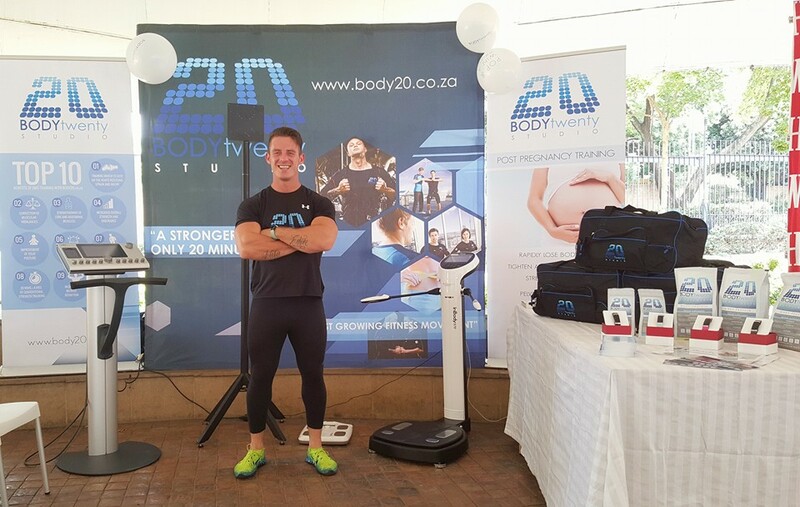 Body20 EMS training is really great for someone who doesn’t have the time to spend in the gym or working out conventionally. The results that you can achieve through it alone are quite phenomenal. Even for the avid gym goer or bodybuilder a few sessions can really help you to stimulate muscle fibres that you are never really able to work and pinpoint muscle imbalances. It is also great for strengthening core muscles. I would definitely recommend everyone give it a go if they can! 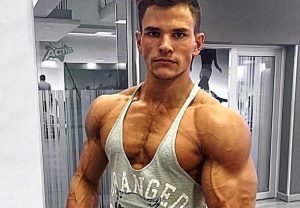 How long have you been training and bodybuilding for? 13 years now, since I was 15. 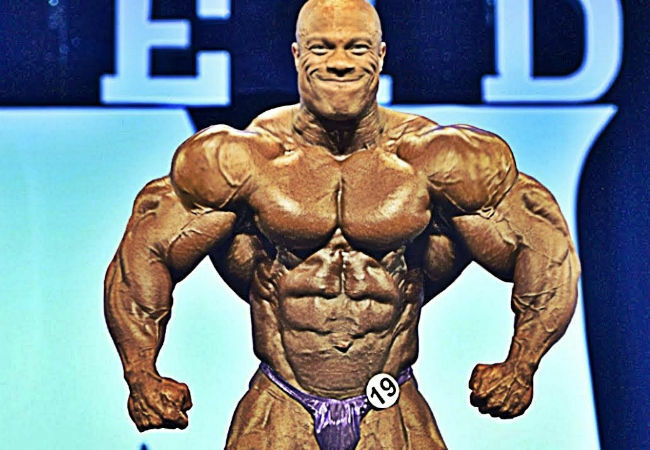 What advice can you give to up and coming young bodybuilders? EAT, SLEEP, TRAIN AND REPEAT! What are some of your top nutrition tips for shedding the fat? DIET with quality meals that is easy to prep. Don’t over complicate it. Meal 2 – 6: Chicken or Fish with Sweet Potato or Brown Rice. Always progressive and dynamic! Quick and effective 30 to 40 min workouts max! Don’t over train! 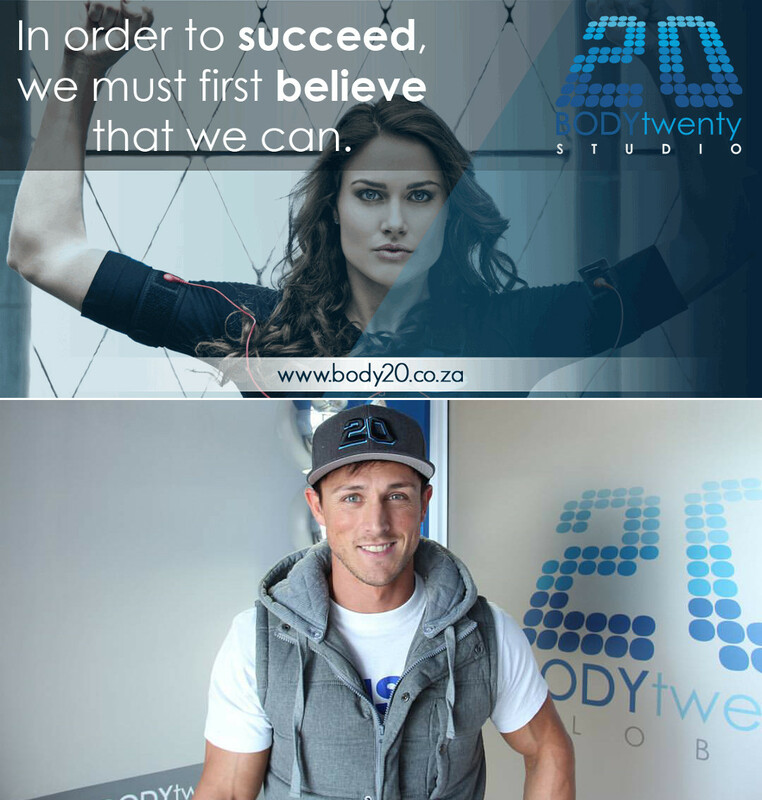 How did you get involved with body20? I started my first studio from my home garage and it exploded and 2 years later we have 23 operational studios nationwide. What grabbed your attention about body20 EMS training? The fact that everyone can train like a pro and leverage time by activating every single major muscle group and stabilizers all at the same time whilst not adding strain to the joints or ligaments because there is no load needed! How can someone wanting to open their own body20 Studio go about it? 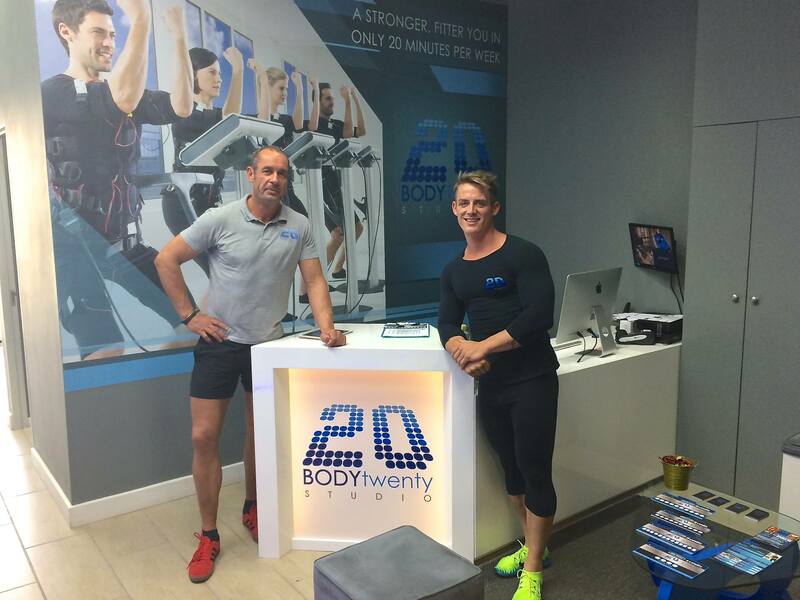 In brief what does body20 offer? And how exactly does the EMS training work? EMS stands for “Electro Muscular Stimulation.” Technically it is a full body training exercise using impulse current. In everyday life our central nervous system constantly sends electrical impulses to control our muscle action. EMS uses this natural principle and is able to intensify this process to reach deeper muscle layers, which are hard to activate through conventional training. This is achieved by applying EMS electrodes to the skin directly above the muscle. All in all you can call EMS simply a selective intensification of electrical stimuli from the outside. 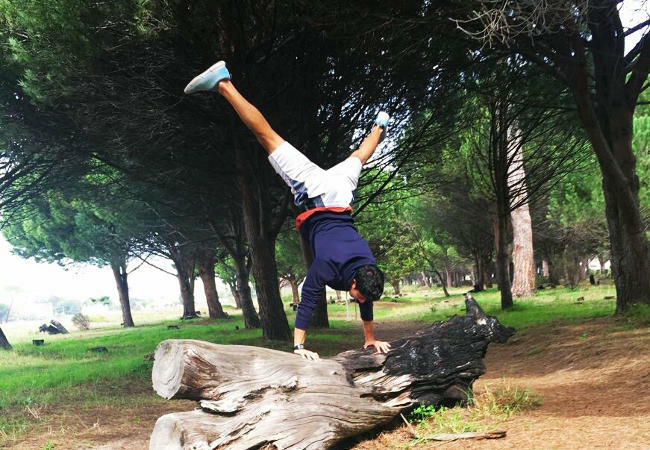 You gain the best results if you work out actively while using our EMS device. Muscles are additionally stimulated through the electrodes while doing a series of low-impact exercises. This combined training leads to an additional increase of tension producing highly effective training results. Your personal trainer can control each muscle group by adjusting the training intensity according to your individual goals. With EMS you achieve visible and tangible success in a very short time. 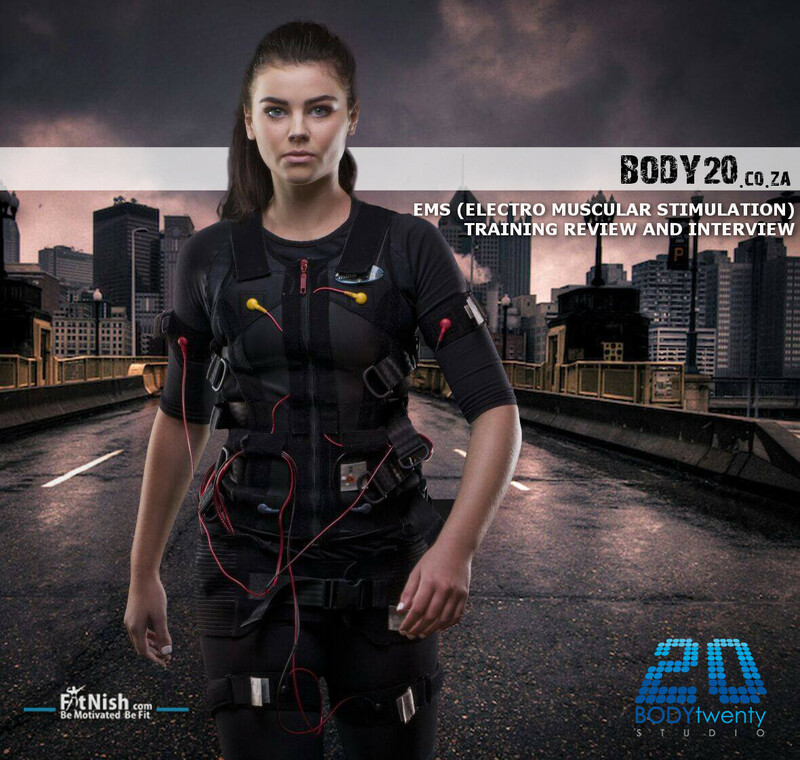 Body20 EMS utilises advanced technology from Miha Bodytec. Designed in Germany the Miha Bodytec system is regarded as the world leader in EMS devices. Who is body20 EMS training ideal for? Low impact, high intensity alternative to conventional weight training. What sort of benefits can you expect from one or two months of doing body20? Better muscle balance, tone and function with a decrease in intra and extra cellular body fat and better symmetry. Do you think many people view it as too expensive? No, the value outweighs the costs hugely! 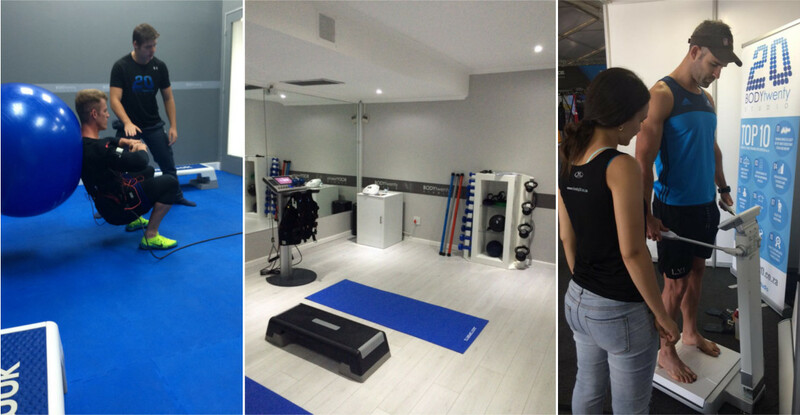 Personal trainer at all times with technology in a private environment with a workout in 20 min that is to the value of up to 5 hours of weight training. No brainer for customers that can afford the lifestyle to get into shape. How long is each session and what monthly packages are available? Can you rely on doing one or two sessions per week as a sole means of exercise coupled with a great nutrition plan? As a bodybuilder, how would you incorporate EMS training into your workout schedule? One strength training session per week. 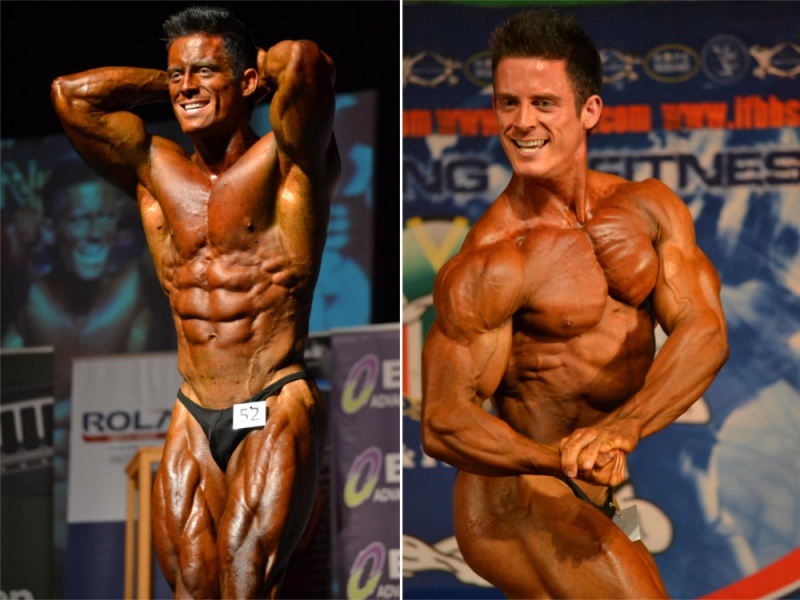 What are the benefits of a bodybuilder including it? Dramatic increase in strength, function, symmetry and density!